Being featured on New York’s famous Broadway Theaters is a great and difficult accomplishment for any actor, musician, playwright or director. Over the years many black women have worked hard to achieve the highest success in commercial theater by being featured on Broadway, yet their success is little know and little celebrated. Black women have faced and are still facing challenges when it comes to landing on Broadway, but many women have overcome these obstacles to see their names in light on Broadway. The legacy of success of black women in Broadway started with Ethel Waters in 1927. She became the first black woman to appear on Broadway in the production of Africana. In 1949 she became the second African American woman, after Hattie McDaniel to be nominated for an Academy Award for the film Pinky. Outside of acting, Waters is known for her blues, jazz and gospel singing. Waters broke the color barrier time and time again becoming the first black woman to perform on television, and to be heard on the radio. Juanita Hall became the first black woman to win a Tony Award in 1950. She won this award for her Best Supporting Actress in the musical South Pacific for her role as Bloody Mary. Hall preformed in South Pacific as Bloody Mary in 1,925 performances on Broadway at the Majestic Theatre. Hall continued a career in acting being featured numerous times on Broadway and on Television. On March 11, 1959 A Raisin in the Sun opened on Broadway at the Barrymore Theatre, making Lorraine Hansberry the first black woman to have a play produced on Broadway. With the success of A Raisin in the Sun, Hansberry became the youngest playwright and fifth woman to receive the New York Drama Critics Circle Award for Best Play. Hansberry's life and career as an author, activist, and playwright was cut short as she died of pancreatic cancer at the age of 34. In 1972 Vinnette Justine Carroll made history by being the first black woman to direct on Broadway with the musical Don’t Bother Me, I Can’t Cope. This musical was such a success that it was nominated for four Tony Awards. Carroll's success continued in 1976 with Your Arms Too Short to Box with God which received three Tony Award nominations. Phylicia Rashād became the first black woman to win the award for best leading actress in a play in 2004 annual Tony awards in New York. Although she may be best known for her role as Clair Huxtable on the sitcom The Cosby Show, Rashād made history only 9 years ago when she won the coveted Tony Award for her role as Lena Younger in Lorraine Hansberry's A Raisin in the Sun. Rashād can also be seen as Lena Younger in the 2008 film version of A Raisin in the Sun. In 2011 Black women playwrights Suzan-Lori Parks, Lydia R. Diamond, Katori Hall were all featured on Broadway at the same time. 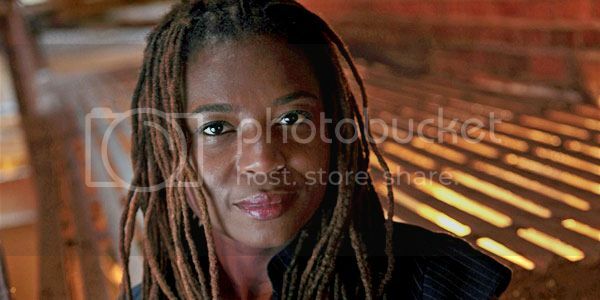 Suzan-Lori Park's reinterpretation of The Gershwins’ Porgy and Bess was produced on Broadway almost a decade after her debut with Topdog/Uderdog. Lydia Diamond's play Stick Fly was featured on Broadway at the Cort Theatre and was produced by singer Alicia Keys. Katori Hall's 2011 Broadway debut The Mountaintop starred Samuel L. Jackson and Angela Bassett.